EASTER EGG CLIPART. 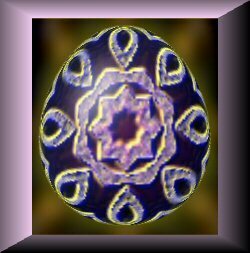 A pale violet egg made from digital "ceramic." Concentric rings in pale blue and a deeper purple. 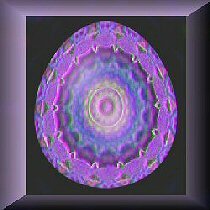 The background is black; the image is in a brushed florentine frame in pale violet metal. 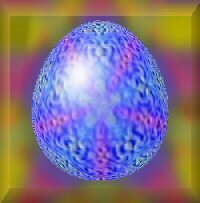 EASTER EGG CLIPART. A beautiful glass egg filled with purple and pink tulips (impressionistic). The transparent purple frame is particularly pretty. 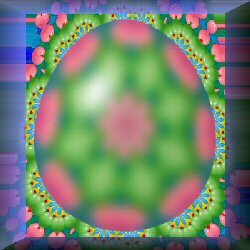 A glass egg in green: pink waterlilies and leaves on a blue background (visible through the glass of the egg. 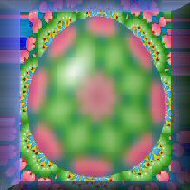 The actual background is visible: green, blue flowers, pink petals. It has a beautiful pink and blue frame. Unusual. 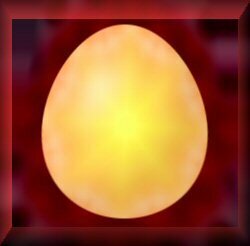 You won't find an egg like this one everywhere. 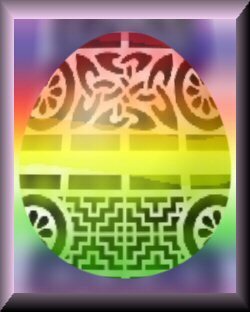 EASTER EGG CLIPART: A painted egg in different shades of pale green, kelly green, and emerald green, gold, shell pink, and crimson. The egg is in modern art patterns inspired by celtic art. It's on a background of rainbow colored stone, framed with pale lavender. EASTER CLIPART. A glowing peach tinted egg with a golden heart. The background is a rich crimson, verging on brick red. EASTER CLIPART. A pale blue disc with a violet center, surrounded by a ring in cobalt blue and scalloped neon green. The outer edge is in vermilion, a lacy scalloped pattern on pale blue and violet. 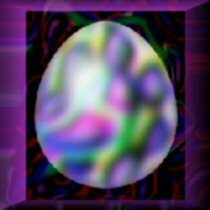 EASTER EGG CLIPART. Inspired by celtic knots. 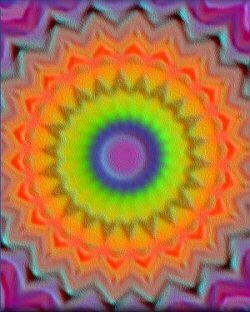 It has a golden stylized center on a background between green and teal. The interest is really in the surrounding details: the ribbons in gold, green, and cobalt blue that are visible behind it, and the frame in kelly green, forest green, and intense royal blue. 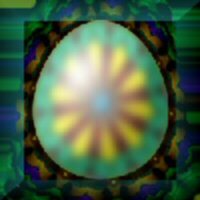 Songs from the Wood Egg (yet another tribute to Jethro Tull). EASTER EGG CLIPART. 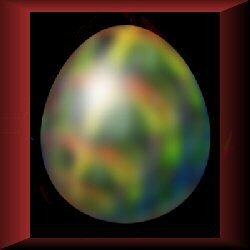 A glossy stone egg in mottled shades of green and dark blue, with touches of apricot and spring green, on a black background. The surrounding frame is an earthier shade of brick red.